A bathroom renovation is a highly desired home improvement, but many homeowners put off making updates due to the perceived cost. Fortunately, you don’t need a complete remodel to get the bathroom of your dreams – nor do you need to break the bank. 3. Paint: It’s amazing how color can transform a space. If you want to make a big impact without much investment, you can’t go wrong with paint. Remember to choose a paint appropriate for the bathroom environment, where it can be more humid. Mold- and mildew-resistant options are a smart choice. When considering paint and supplies, don’t forget to look up and tackle the ceiling, too. The visual impact of a freshly coated ceiling is undeniable. 5. Hardware: Subtle details in a bathroom can tie the room together, just like the perfect necktie or necklace makes an outfit. By updating the hardware and other extras that make a space functional, you’ll also be modernizing the style, which will instantly breathe new life into a tired space. Try replacing the knobs and handles on the vanity. Get a new shower rod and curtain. Update the towel rack to match and add some fresh linens. It doesn’t cost much but provides a change you’ll instantly appreciate. 6. 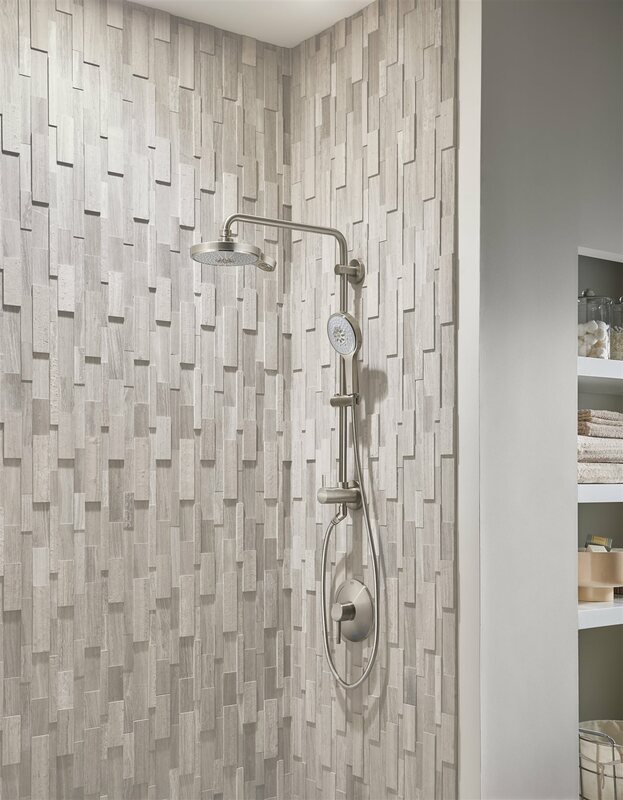 Shower: Are you longing for a new shower space but think it’s too difficult or expensive to upgrade? The GROHE Retro-fit Shower System is the perfect option for replacing your old shower because it installs quickly and there’s no need to get behind the wall. 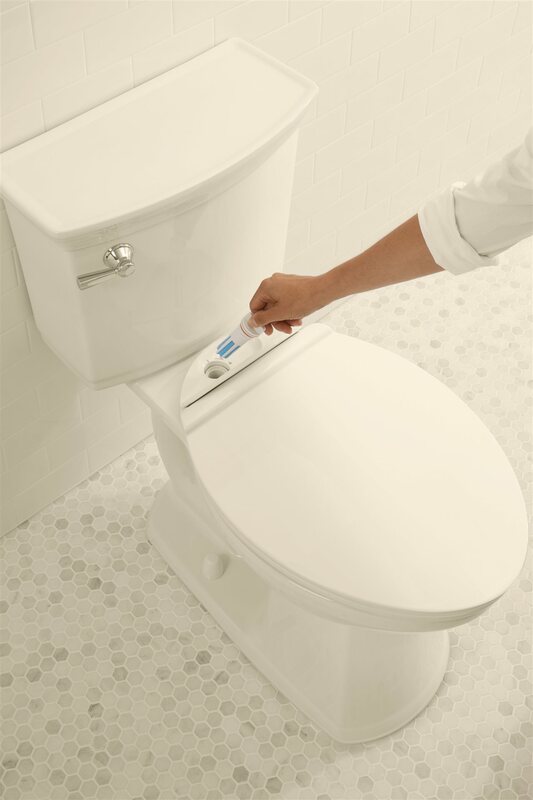 It works with your existing plumbing setup, so you can save time and money. Its simple installation process means less chaos, and you’ll get to enjoy your new shower faster.